Most car shoppers are familiar with the benefits of buying used: reasonable prices, slow depreciation, no advertising fees, etc. If buying used is right for you, the next step is knowing what to look for when buying a used car. Fletcher Jones Imports offers one of the most impressive used and certified pre-owned inventories near Paradise, and therefore we know a thing or two about used car shopping. With some research, it’s easy to tell if the price of a used car is fair. You can use online resources, such as Kelley Blue Book, to compare prices for the same make, model, and year. Also, be sure to check the CARFAX® Vehicle History Report for the car you want. Our used and CPO vehicles include these reports to give our buyers greater peace of mind. Unlike private sellers, dealers offer an extensive selection of used cars. Not to mention, you can shop pre-owned vehicle specials, cutting down your purchase price even further. Fletcher Jones Imports’ used car inventory consists of models from mainstream brands, as well as used luxury models. Whether you want an affordable car for cruising around Summerlin or a premium car with all the bells and whistles, you have options. Today, the average cost of buying a new car is over $33,000. When you browse our used and CPO inventory, you’ll find competitively priced luxury vehicles. Mercedes-Benz CPO vehicles are especially good choices over many new mainstream models because they’re no older than six years. Comparing a late-model C-Class vs. Toyota Camry, for example, you’ll find the Camry doesn’t offer as much power as the C-Class, nor does it offer luxuries like genuine wood trim and a driver attention monitor. Browse Pre-Owned Cars at Fletcher Jones Imports Today! Ready to see our used and certified pre-owned inventories in person? You don’t have to travel far from Summerlin or Spring Valley. 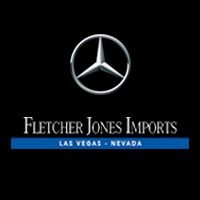 Schedule a test drive at Fletcher Jones Imports in Las Vegas! Our sales and finance team is here to answer your questions about the extended Mercedes-Benz warranty, what to look for when buying a used car, choosing between Certified Pre-Owned vs. used cars, and more. Mercedes-Benz CPO Warranty: What’s Offered?